In a study published in The FASEB Journal a team of NIH-funded scientists reports on a potential drug that could be protective in ischemic stroke patients. 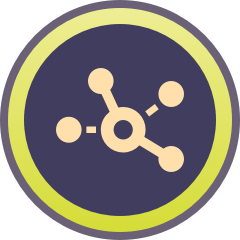 The clue for the study came from observations in hibernating ground squirrels. In these animals there is a dramatic reduction of cerebral blood flow during hibernation, yet they emerge from their sleep without any ill effects at all. The researchers observed that a cellular process called SUMOylation goes into overdrive in a certain species of ground squirrel during hibernation. They suspected this might be the mechanism by which the animals' brains survived the reduced blood flow caused by hibernation, and subsequent experiments in cells and mice confirmed this suspicion. SUMOylation occurs when an enzyme attaches a molecular tag called a Small Ubiquitin-like Modifier (SUMO) to a protein, altering its activity and location in the cell. 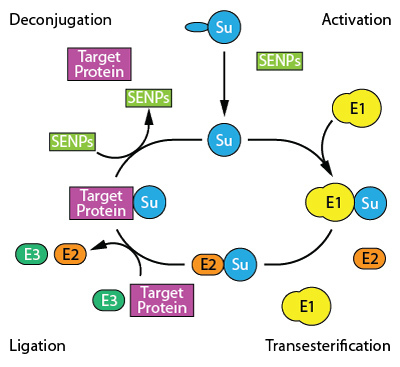 Other enzymes called SUMO-specific proteases (SENPs) can then detach those tags, thereby decreasing SUMOylation. In the current study, the researchers teamed up with NIH's National Center for Advancing Translational Sciences (NCATS) to examine whether any of over 4,000 molecules from the NCATS small molecule collections could boost SUMOylation by blocking a SENP called SENP2, which would theoretically protect cells from a shortage of life-sustaining substances. The researchers first used an automated process to examine whether the compounds prevented SENP2 from severing the connection between a tiny metal bead and an artificial SUMO protein. This system, along with computer modelling and further tests performed both in and outside of cells, whittled the thousands of candidate molecules down to eight that could bind to SENP2 in cells and were non-toxic. Two of those - ebselen and 6-thioguanine - were then found to both boost SUMOylation in rat cells and keep them alive in the absence of oxygen and glucose. A final experiment showed that ebselen boosted SUMOylation in the brains of healthy mice more than a control injection. 6-thioguanine, the chemotherapy drug,was not tested since the adverse effects would make it unsuitable as a potential stroke treatment. The researchers now plan to test whether ebselen can protect the brains of animal models of stroke. Because SUMOylation affects a variety of molecules, this approach could inspire similar attempts to treat neurological conditions by targeting pathways with wide-ranging effects. Bernstock et al. Quantitative high-throughput screening identifies cytoprotective molecules that enhance SUMO-conjugation via the inhibition of SUMO-specific protease (SENP)2. The FASEB Journal. November 16, 2017. doi: 10.1096/fj.201700711R.